Tropes of the genre just don't work onstage the same way they do on-screen. 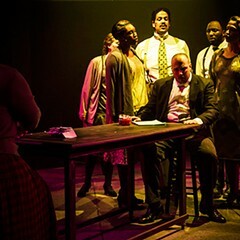 Through 12/1: Fri-Sat 8 PM, Sun 3 PM; also Thu 11/15 and 11/29, 8 PM, Factory Theater, 1623 W. Howard, factorytheater.com, $25, $18 students and seniors. It's not just the title. 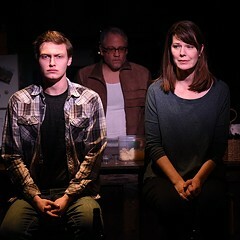 Down to the name of its central character—Rosemary Ward—Manny Tamayo's one-act drama is evocative of the Ashley Judd, not-quite-horror thrillers that were ubiquitous in movie theaters in the late 90s, the type that later found everlasting life on cable networks like TNT. Widow to a notorious defense attorney for crime bosses, Ward (Allison Cain) faces down a gang of crooked cops who invade her Lincoln Park brownstone set on looting the cash fortune they believe her husband earned off their backs. After stabbing one of the officer's hired confederates to death in self-defense, Ward finds herself in the crosshairs of the detective who masterminded the burglary. 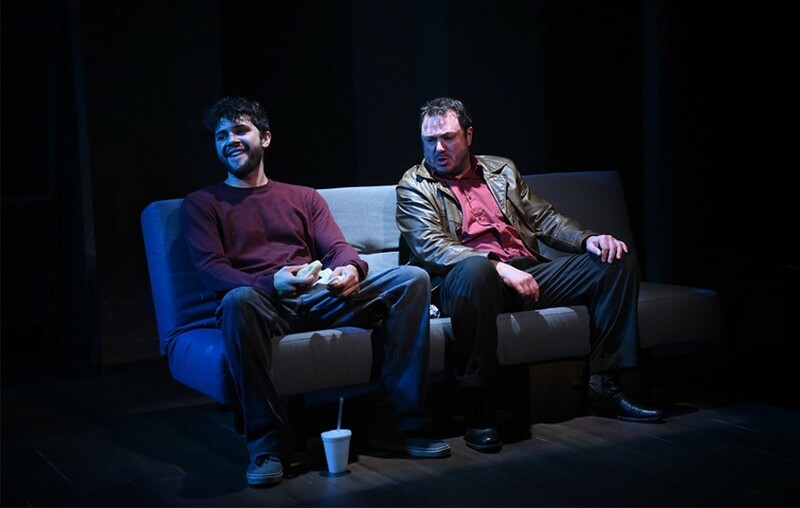 In theater, plot and action often take a backseat to character development and engagement with broader overarching themes, so it's different and exciting when a play leans into the plot-driven tropes of genres like police procedurals and crime thrillers. At their best, like Joshua Rollins's A Girl With Sun in Her Eyes, they marry familiar television and film conventions with the claustrophobic, powder-keg intimacy of theater. But after some taut, agitating scene work between Cain and Blake Dalzin as the corrupt detective, after the attempted burglary, Mandy Walsh's Factory Theater production deflates via increasingly outlandish cat-and-mouse conversations, clunky attempts to create moral ambiguity, and quick lights-up and lights-down montage sequences that just don't work onstage the same way they do onscreen. Shannon O'Neill's drama is a true Irish blessing.